Building upon the introduction of its GEN II series at IBEX last year, FELL Marine proudly announces it is adding Crestliner to its fast-growing list of OEM partners. 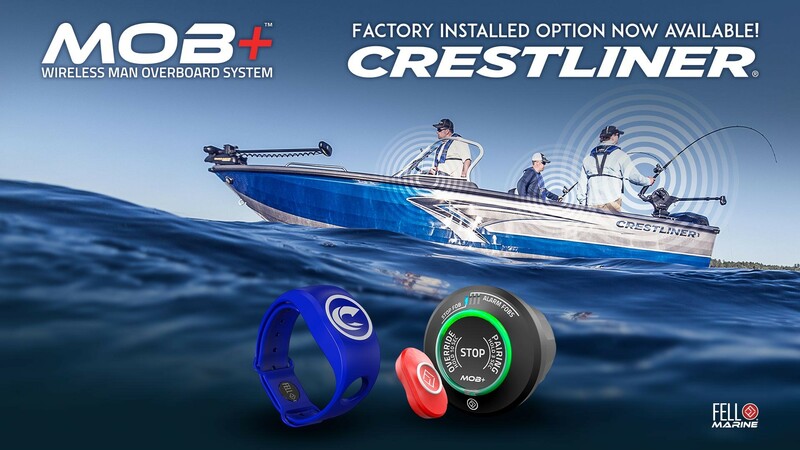 Starting with all of it’s Deep V models manufactured at its New York Mills facility, Crestliner dealers will be able to order the MOB+ Wireless Man Overboard System as a factory installed option on 2018 models. Crestliner, part of the Brunswick Freshwater Boat Group, has a long history of introducing new and innovative features. With its origins in Minnesota, the land of 10,000 lakes, Crestliner boats are trusted by anglers around the world to safely navigate large expanses of open and sometimes frigid water. 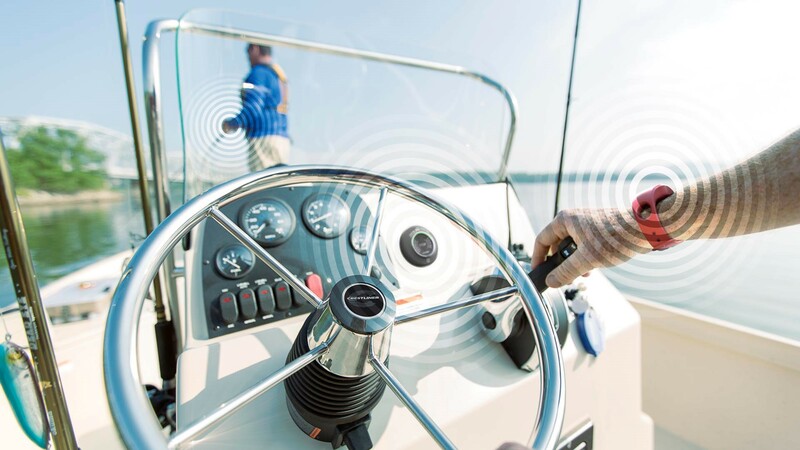 The system consists of an easy-to-install xHUB (mounted on or near the boat console) and a wearable xFOB. The two communicate wirelessly with each other and stop the engine when the xFOB is submerged in water or is beyond range of the xHUB. The xFOB can be worn on the wrist, around the neck, or clipped to a PFD using either the xBAND™ or xTAG™ accessories. The waterproof xFOB has more than 300 hours of battery life, and is powered by an easy-to-change standard coin cell battery. The xHUB connects to the boat power (12V-24V) and to the engine stopping system. The system is intuitive and easy to use through a one-click user interface and compatible with all major outboard and most sterndrive engine brands. For more information about FELL Marine’s products and services, please visit FELLmarine.com.